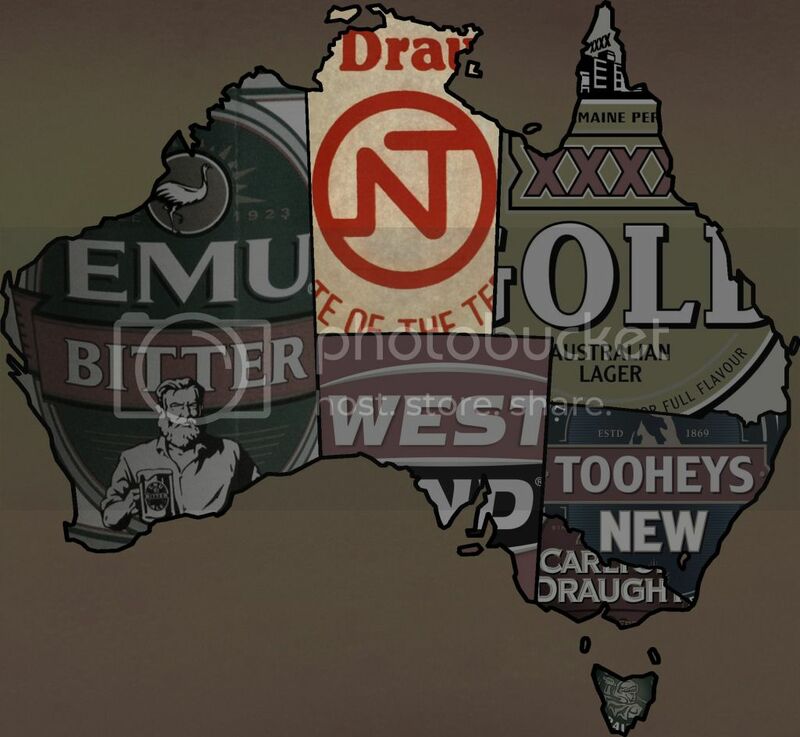 Australia's Northern Territory is the only place someone can buy NT Draught. The beer however is produced in Melbourne by Carlton United. Of course though with sales entirely within the Northern Territory it has to be considered an NT beer for the purposes of this challenge. 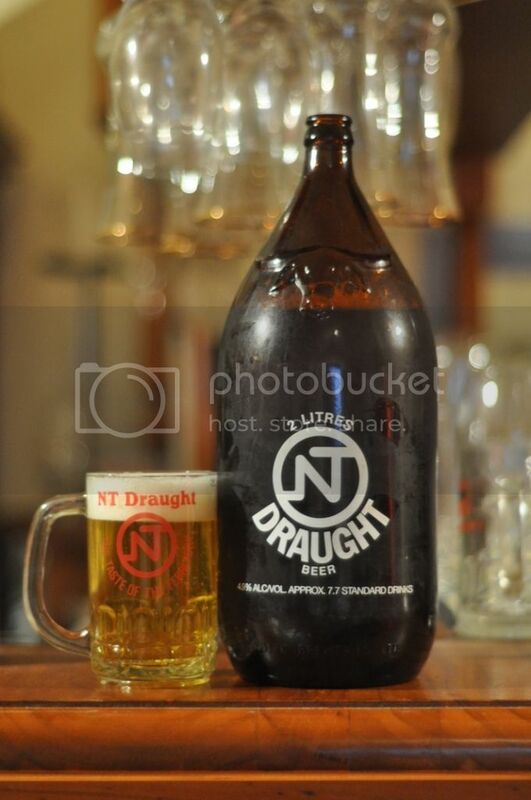 NT Draught is one of the few beers known more for the bottle it comes in than the beer itself. It it served either on tap or in a giant two litre bottle or 'Darwin Stubby' as it is known locally. The beer sells well as a novelty because of the large bottle size and this is part of the reason my father brought me one back from his recent work trip to Darwin. The first think I have noted about this beer is that it is really difficult to pour, there has to be at least an extra kilogram in glass on top of the 2 litres of beer. When you finally work out how to pour it, it pours surprisingly well! There is a nice white head with some light straw coloured beer underneath. Surprisingly nice to look at when poured, much more fun to drink from the bottle though. On the nose it was slightly sweet with some honey and grains the predominant smell before some hops take over towards the back end. The biggest problem with a 2 litre bottle is always going to be drinkability and this is one of the better drinking macro lagers out there. The hop bitterness is quite pronounced but well balanced by the sweetish honey flavour. Despite only having one beer the Northern Territory, which isn't even produced in the territory anymore, I think they have performed really well in this challenge. This is actually quite a good macro lager and (arguably) Carlton & United's best product. Hopefully within the hour I will have a post up to crown Australia's first True Brew champion.